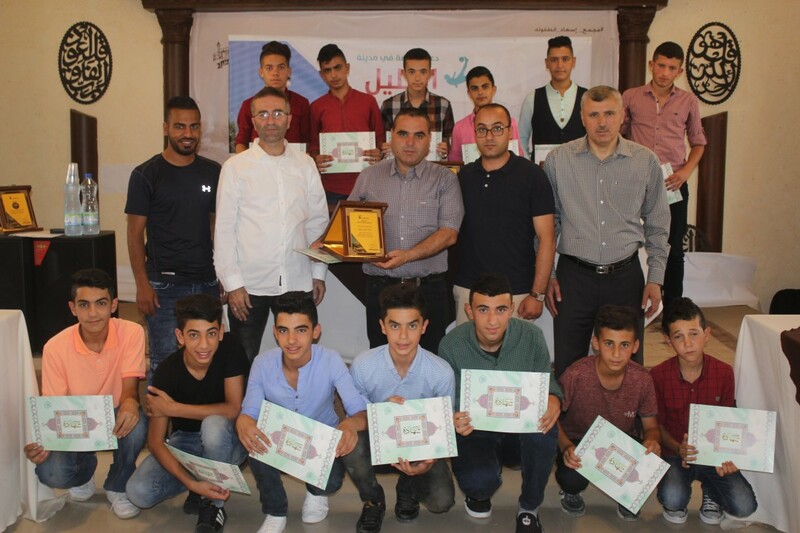 Burj Al-Luqluq Social Center Society celebrates the closing ceremony of From Jerusalem to Hebron Sport project executed by Burj Al-Luqluq, supervised by the Welfare Association and funded by the Jerusalemite businessman Munir Kalouti. Four clubs form Hebron participated in the event; Tareq Bin Ziyad, Al-Karmel, Shabab Sourif and Shabab Shyoukh. The event took place at Is’aad Al-Tufuleh Hall, in the presence of the manager of sports facilities in Hebron Mahmoud Abu Sbeih, Burj Al-Luqluq Executive Manage, Muntaser Edkaidek and the project coordinator Marwan Saleem.